There are moments in your life you know are life changing. The moments that embed in your memory forever, refusing to fade away even when old and gray. When your then boyfriend gets down on one knee and says he can't imagine life without you by his side. When you pee on a stick and a little pink line appears letting you know you are pregnant. When you get a phone call telling you someone has willing chosen you, yes you, to be the mama to her daughter. When you get to hold that tiny little girl for the first time in your arms. Late on January 22, Chris & I received one of those life changing moments through a phone call. At first, I thought and hoped that perhaps the call was about another baby to adopt. However in the back of my mind, I knew. "I'm so sorry to be calling you with this news Vanessa, but J, Xiomara's birthmom passed away." Every part of me wanted to scream, "NO" but I knew that I had to pull myself together and ask the questions I needed answered for Xiomara's sake one day. The screaming and tears would come later, and still be here two months later. Two months ago, our precious and amazing birthmom passed away. When I found out, it felt like the world had dropped out from under my feet. With adoption comes loss, but this loss is not one I was ever expecting. Our sweet Xiomara is only four, but she loves her birthmom a lot and has spent the past year daily talking about her. One day she will likely have questions about her adoption and want answers. She may never get a chance to get those answers now. "When my world is shaking, heaven stands. When my heart is breaking, I never leave your hands." For two months I have done nothing but cry, dream, and cry some more. The whole first week after I found out, I hardly slept. I would spend most of my nights crying and the little sleep I did get was spent dreaming of the amazing woman who chose me to be mama to Xiomara. Eating has been difficult. There were times that Chris literally had to force me to eat. Grief is a strange thing. It comes and goes. It shows itself while making snow angels in the snow and talking with your daughter about her first mama who is somewhere up in those clouds in the big blue sky. Sometimes it shows up as anger towards God for taking away the one person who would one day have answers for someone you love very much. At times it is hard to plaster a smile on your face and talk to someone like nothing in your life has changed, when really, everything has. Everything. Other times, grief is ignored as if facing the reality of it is just too damn hard. Sometimes it comes when you realize you have been smiling and then you feel guilty for being happy when your heart is still hurting. Or it comes when you hear your daughter explain to her cousin that her birthmom is in heaven maybe even riding on a carousel with Jesus. It comes as denial that she can't possibly gone, right? Only to Google her name for the thousandth time and see her name staring back at you in an obituary. Still other times, grief pours out like a gushing river. I know for some people, they will read this and have a hard time understanding why I would take this loss so hard. I mean I hardly knew our birthmom. We only met once and haven't talked a lot since that day. But here is the thing, I felt connected to her in a way I haven't to anyone else. Maybe because we are both mama to a little girl we both love. She truly was family to us. A woman who loved her daughter, our daughter, so much, she chose the most difficult decision she could have and chose life. My daughter is a part of her, and I grieved and will continue to grieve because of that. "I know you hate to see me cry. One day you will set all things right. Yeah, one day you will set all things right." Printing and laminating obituaries, ordering flowers, and receiving her funeral program in the mail are all things that have been terribly difficult to do. Telling your daughter that her first mama has gone to heaven to be with Jesus....you can't even imagine....that is excruciating and one thing that I hope no one else has to ever experience. We chose to only tell a few close friends and family who would uplift us in prayer during these pasts months. To those people, I say THANK YOU. You were friends for such a time as this, and will continue to be our friends beyond this. Your prayers often sustained me through some of my darkest moments. To Clarissa, I cannot thank you enough for the love and respect you have shown both J and her family, while also thinking of us. We love you! To my sister, Genevieve, who sobbed with me and for Xiomara. It told me that even if no one else cared, you did and that mattered to me. I love you! To Megan and Leann who were the perfect friends to meet up with for a girls weekend right after I found out. Thank you for letting me talk through my feelings, and for hugging me when it was hard. To Jill, the first person I called in an absolute panic. Your calm presence and texts since, helped reassure me that I could get through this. To Mandy, who has faithfully texted me, even on my darkest days. I'm not sure what I would have done without you. To Sharon, who told me not to apologize for being sad and instead covered us in prayers. To Rachael, who sat in a crowded restaurant with tears in her eyes and told me she understood my pain. That meant the world to me. To my amazing husband, Christer. 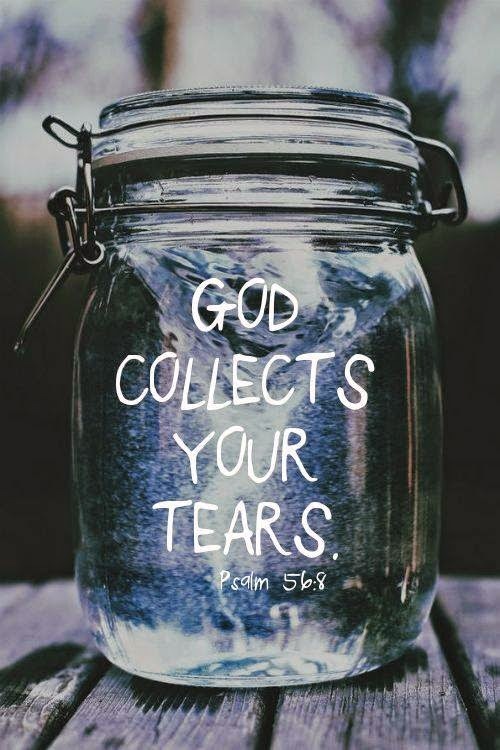 You have held me almost every night as I have either sobbed or silently cried out to God. Your strong arms have come up along side me and wrapped me in love and comfort as I could barely hold myself up some days. That is true love! Thank you for never telling me or pushing me to get over it and stop crying. Thank you for allowing me to grieve and for being there with me through it all. I love you more for it! Even before we adopted, or even knew about J, I wrote letters to our amazing birthmom. They continued all throughout our adoption process and after we met our amazing J, they became more personal and real. This blog has been my way of connecting with J even when she wasn't, to my knowledge, reading it. The night we found out about her passing away, I wrote her a final letter. I originally intended to post that only, but then felt compelled to write this & it didn't feel right adding that letter to this post, she deserved her own post. So that letter will come sometime in the days to come when I feel ready. Writing that final letter is the hardest thing I have ever done. Somehow pushing publish makes it real that she is gone. And I hate that. Friends, I am struggling. Struggling to find God in this. Struggling for J's family who is left without her. Struggling for our precious daughter. I wasn't sure I could ever open up and share our grief and then somehow now felt like the time I should share. "I can dance here because I have Jesus." So I will continue dancing, although sometimes my dance may be slow or stumbled, or even tear-laden. I will dance because I still have Jesus.